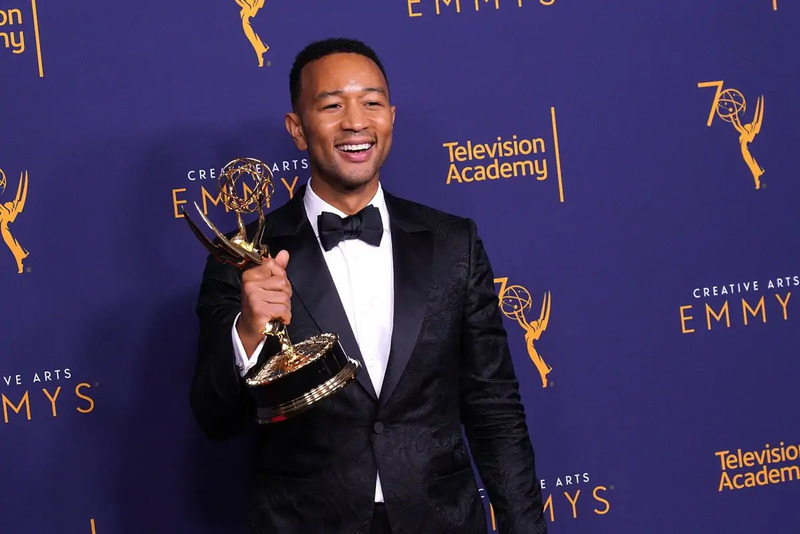 Sunday night, John Legend made history at the Creative Arts Emmy Awards by taking home the Emmy for Outstanding Variety Special for his role as Jesus Christ in the production of Jesus Christ Superstar Live in Concert. This achievement crowns him the youngest, and first ever black man, to earn EGOT status, meaning he has won all four major annual American entertainment awards: an Emmy, a Grammy, an Oscar and a Tony. Legend is very outspoken about growing up in a Christian household, and he even served as the choir director at Bethel AME Church in Scranton, Pennsylvania, for almost a decade before becoming one of music’s biggest superstars. During his time working at the church, he released solo demos and toured the East Coast, playing gospel-inspired R&B. He was soon discovered by Devo Springsteen, who hired him to write hooks for up-and-comer Kanye West. Soon after, he was signed to a record deal that led him to becoming the go-to singer for collaborations, all thanks to his gospel-infused sound. Since being in the public eye, he’s become more passionate about social justice and tackling big issues that affect people.